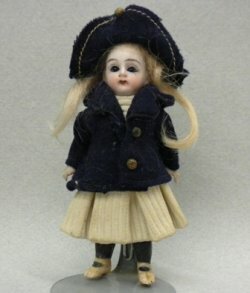 Cute all bisque doll with original clothing that is in good shape. There is a dress under her jacket. She has glass eyes, is marked with a 0 on the back, and is wire strung.